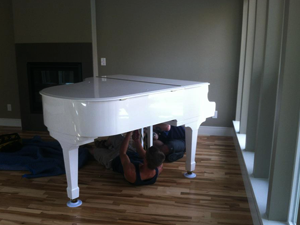 During moving day, one of the largest items that often needs to be moved is a piano. At Billy Goat, we move pianos all the time! It feels like we move one at least once a day, and we’ve moved everything from grand pianos to antique uprights. If you need to move or put your piano in storage, give us a call and we can help! Climate Controlled Piano Storage starts at $25/month. Safes are obviously very important, and they need to moved safely and carefully, since they house your most important and valuable possessions and documents. Our team understands how to effectively move your safe from your old location to the new one. We’ll make sure it’s properly secured during transport, and then placed in the appropriate spot in your new house or office building. Call us today at (970) 221-0701!